Very quiet and refined. Excellent ride quality. Huge boot and plenty of rear passenger room. Handles well and is a great motorway cruiser. Very well equipped and good value for money. Powershift only available on the more powerful engine. Not a seven seater. Vague steering. 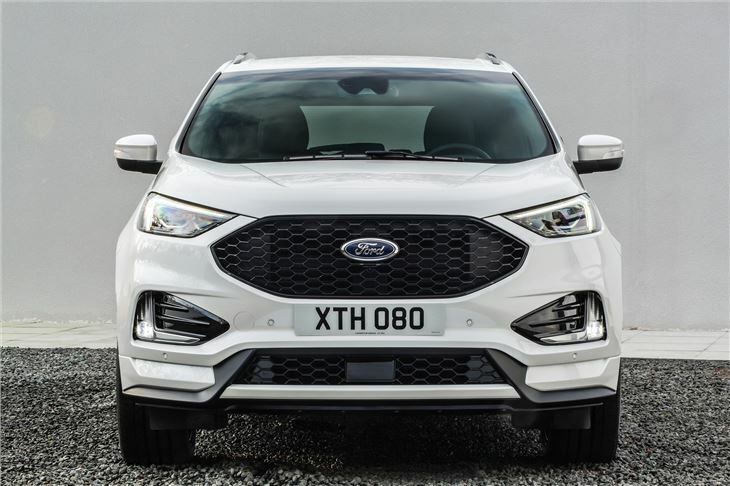 Given the popularity of SUVs, it's surprising that Ford has until now only offered the Kuga in the UK. But that's all changing. Because 2016 sees the launch of the Edge - a car that has already been on sale in the US for some time. So why the wait for its introduction here? Well Ford has made some significant changes to the Edge, giving it a diesel engine for starters as well as tweaking the steering and suspension. Plus there are other changes like acoustic glass, which massively cuts noise levels inside. The results are mightily impressive. 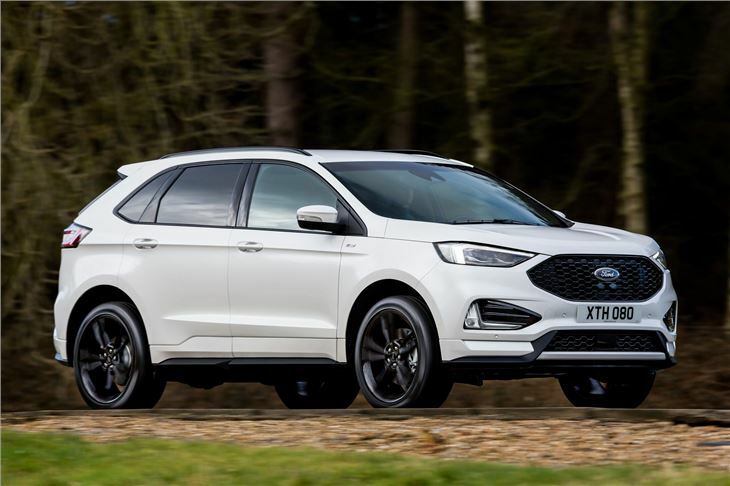 The Ford Edge is the quietest large SUV around and feels like a luxury saloon on the motorway with near silence at a 70mph cruise. The suspension is excellent too, giving a superb ride that's not even ruffled by big potholes or poorly surfaced roads. 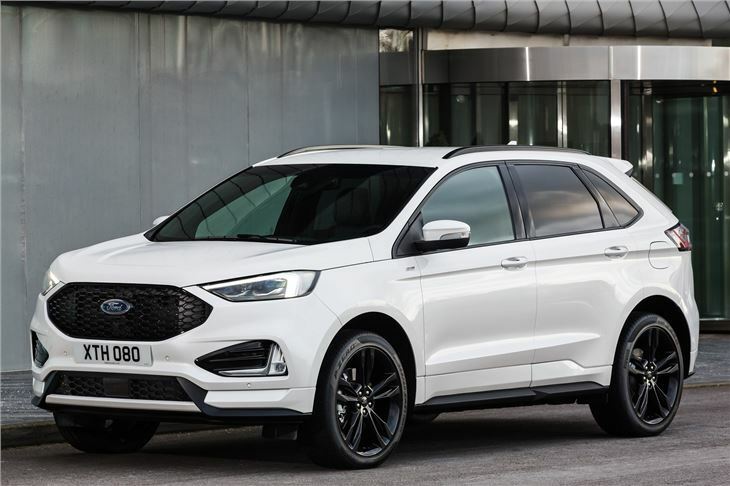 Ford says the Edge is designed to meet demand for a more upmarket SUV. And it certainly feels a premium car. 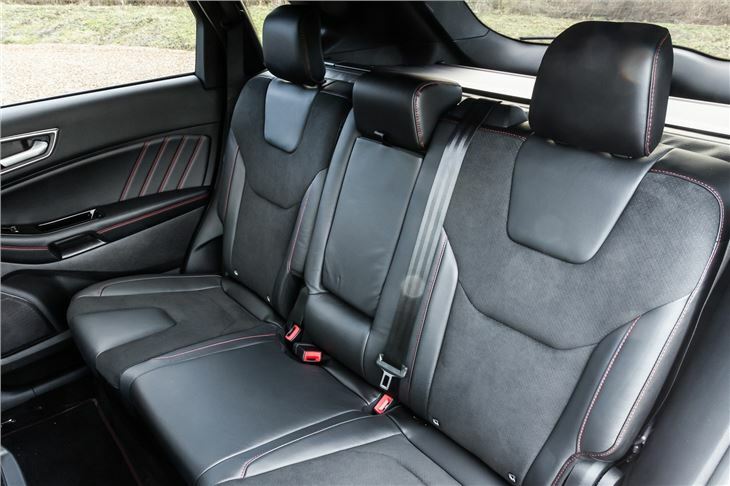 The interior may lack the design flair of something like an Audi, but the quality is impeccable plus it feels well finished and solidly built. That's reflected in the price - the Edge starts at £30,000 and if you want the preferred diesel automatic version it will set you back more than £34,000. 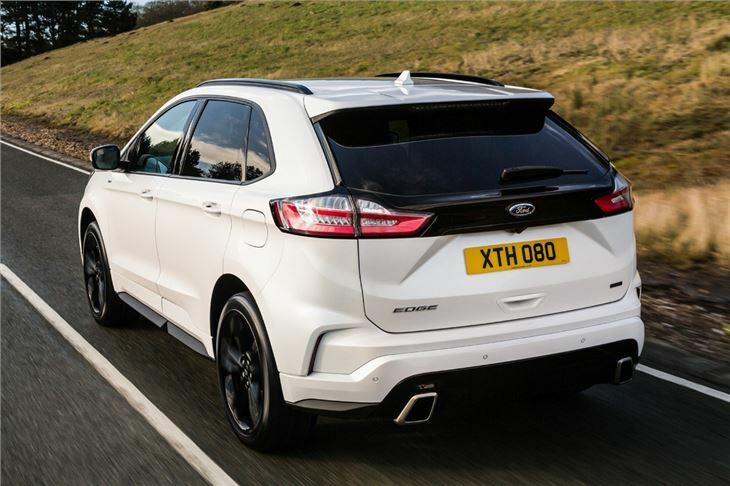 But Ford offers good PCP deals, helped by much improved residuals, and the Edge comes very well equipped. Even the entry Zetec model has DAB, a rearview camera, privacy glass and keyless start. Compare that to the alternatives and it's very competitive. A Hyundai Santa Fe starts at almost £32,000, although admittedly it does come with seven seats - something which the Edge doesn't. That may put some buyers off, but the Edge is still family friendly with a huge boot, fold flat seats and lots of rear space. The rear doors also open wide which makes getting children out of child seats much easier. All that space is down to the Edge's sheer size. It may not look it in the pictures, but the Edge is a big SUV - it's longer than a Volkswagen Touareg in fact. Plus it's wide. Good for elbow room but less so in a tight multi-storey car park. 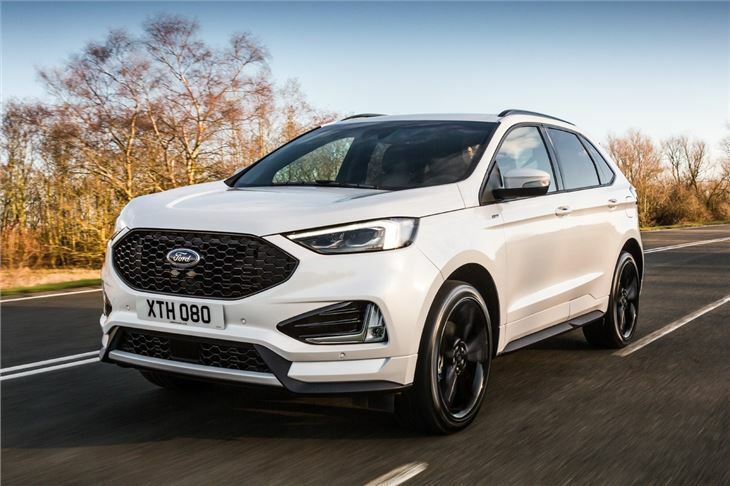 Ford has worked to shift its image over the past few years, aiming for a more upmarket and premium image. And the Edge is a key part of that. 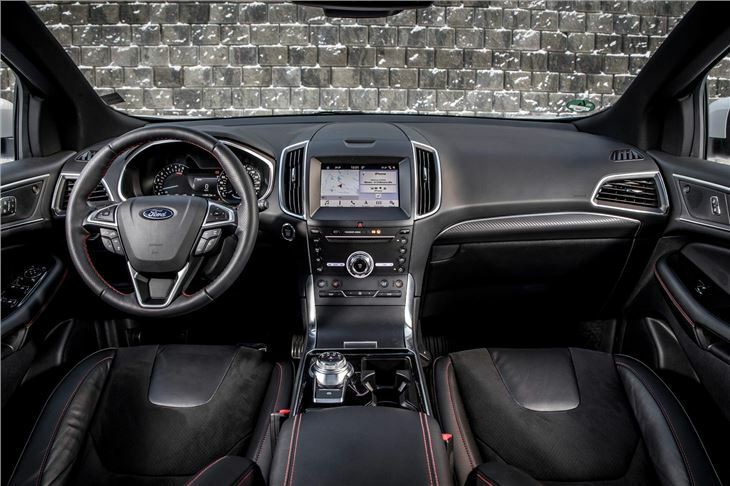 The Mustang may get all the attention but the Edge is a car that will no doubt do more to change the perception of Ford. Handsome, relaxing yet surprisingly agile with stacks of room and useful technology.